Men's three pack of black T-shirts from Polo Ralph Lauren. 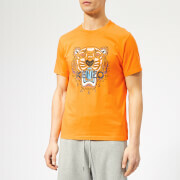 Crafted from soft cotton, each crew neck T-shirt comprises a rib-knit collar, short sleeves and a straight hem. Detailed with the brand's signature embroidered pony logo. Tonal stitching throughout.